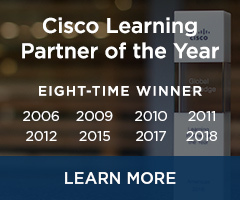 Cisco Certified Network Professional (CCNP) Routing and Switching certification validates that you have the ability to plan, implement, verify and troubleshoot local and wide area enterprise networks and that you can work collaboratively with specialists on advanced security, voice, wireless and video solutions. The CCNP Routing and Switching certification is right for you if you have at least one year of networking experience and you are ready to advance your skills and work independently on complex network solutions. Achieving CCNP Routing and Switching demonstrates the skills required in enterprise roles such as network engineer, support engineer, systems engineer or network technician. 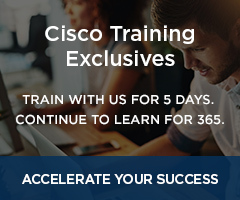 The routing and switching protocol knowledge and skills you'll gain while pursuing this certification provide a lasting foundation. They are equally relevant in the physical networks of today and the virtualized network functions of tomorrow. The latest exam version for your current certification. 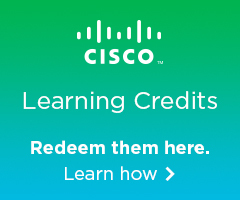 Any current CCIE Written Exam. The current CCDE Written Exam or CCDE Practical Exam. The Cisco Certified Architect (CCAr) interview and the CCAr board review. Find out where this certification ranked in our 2018 top paying certifications report.